Q: What is included in the board? Q: Do you offer outdoor board? Q: What type of turnout is offered? 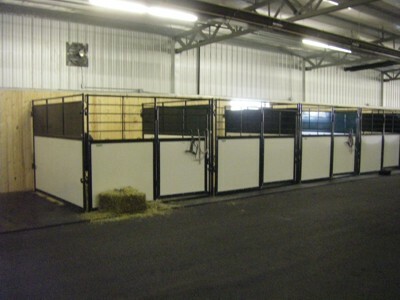 A: Each horse has an individual turnout pen with a shelter and automatic water. Q: What type of hay is fed and how many times per day? A: We feed excellent quality alfalfa mix hay 3 times per day. Q: Does PMR feed any other supplements? A: PMR supplies a 12% complete feed which is fed 2 times per day. We will also feed boarder supplied supplements if requested. Q: What vaccinations are required at PMR? A: All horses must be vaccinated for Eastern and Western Encephalitis, Tetanus, Equine Influenza, Strangles and Rhino. Before horses can be admitted onto the property for boarding written proof of vaccinations must be provided a minimum of 2 weeks prior to arrival. Q: Is there an outdoor arena? Q: Does PMR have a roundpen? Q: Does PMR offer any additional services? A: Yes, we can provide certain services over and above the standard care of your horse. These services may be subject to additional charges based on the requirements. Q: Does PMR have a boarding contract? A: Yes, you will be asked to complete a Boarding Contract prior to bringing your horse into PMR. You will be provided with a signed copy of the Contract along with copies of the Barn Rules and Policies for your records. Q: Can I bring in an outside trainer to give me lessons? A: Yes, you can bring an outside trainer in to help you, however we do require that all instructors provide a copy of their current Liability Insurance policy prior to instructing. Q: What activities are not allowed in the arena? 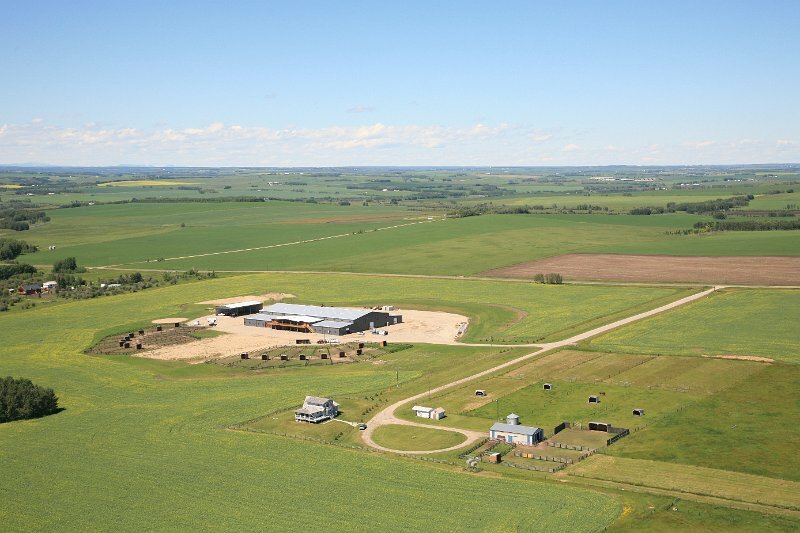 A: As this facility is geared towards the reining discipline we are very conscious of the condition of the ground. We make every attempt to maintain it to the highest possible standard. Therefore, we do not allow jumps, barrels or large, difficult to remove obstacles in the arena. Q: Is the arena/facility open to boarders during scheduled events? A: When the arena has been booked for an event it will remain closed to everyone except those participating in that event. If the upstairs viewing has been booked please confirm if it will accessible to the public or just to those involved in the booked function. All events will be posted with as much advance notice as possible. This notice will also advise when the arena will re-open to boarders. Weather permitting the outdoor arena (if not booked) will be available for use. The barn/stabling area will remain accessible to boarders during events unless otherwise specified. Q: Do boarders have to pay to watch clinics etc.? A: If you choose to audit a clinic that is being held at PMR and the organizers of the clinic/demonstration have decided to charge a spectator/auditor fee we kindly ask that you respect this charge. If you choose not to pay the event fees please refrain from entering the booked areas during the event. Q: Can I bring my dog to the barn? Q: Can someone else ride my horse? A: Yes, as long as we know that you have given this person permission to ride your horse it is not a problem. We will require that our Liability Waiver and Safety Equipment Waiver be filled in completely and correctly prior to riding. All boarders are required to advise their guests of the barn rules and policies. Q: What do you charge for hauling in? A: We charge on a per rider basis. This means that if you bring one horse we charge $25, if you bring two horses the charge is $40 three horses the charge is $50. These prices include GST. Q: Can someone else also ride one of my horses that I hauled in? A: Yes, but again keep in mind that as we charge on a per rider basis that person will also have to pay the $25.00 charge to ride. Q: Can I bring my trainer/instructor along to give me a lesson if I haul in to PMR? Q: Do you have an outdoor arena? A: Yes, we have a 140’ X 240’ outdoor arena. Weather permitting it is available for haul-in use. The same charges and haul-in rules apply. Q: When is the best time to come and ride? A: It is very difficult for us to predict when the arena will be quiet as we do not always know when boarders and other haul in riders will be using the arena. Always check the calendar on the website to confirm that the arena is open on the day that you are thinking about hauling over. Q: Can I use the washrack? A: No, the washrack is only available for boarded horses. Q: Can I bring my dog with me to PMR? A: One of the conditions of our Liability Insurance is that dogs are not allowed in the arena or tie-up area at any time. If you must bring your dog with you please leave it in your vehicle. While on the property all dogs must be on a leash and in control at all times. It is expected that you clean up after your dog in all areas.